djay Pro 2.0.8 – Transform your Mac into a full-fledged DJ system. Next story Airmail 3.6.50 – Powerful, minimal email client. Previous story Tidy Up 5.0.10 – Find duplicate files and tidy up your hard drive. djay Pro 2.0.7 – Transform your Mac into a full-fledged DJ system (was djay). 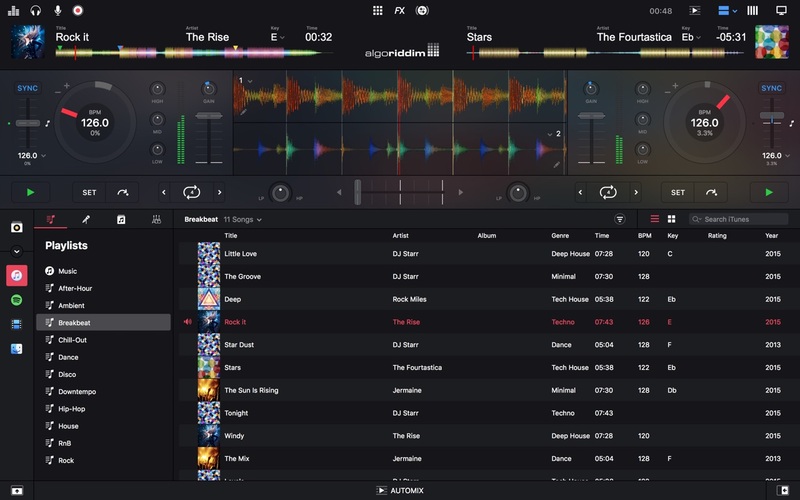 djay Pro 2.0.2 – Transform your Mac into a full-fledged DJ system (was djay).